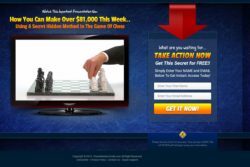 This review is about a new binary options scam called “Chess Masters Code”. Chess Masters Code has an anonymous presentation in which you can hear that they need beta testers for testing a trading software based on chess masters methods. The guy talking in the video says that this software is about to make him a millionaire. We’ve reviewed hundreds of scams and we’ve heard a lot of stupid stories such as predicting binary options trades with weather forecasts. The Chess Masters Code falls into the same group. Using chess strategies for trading financial markets? Really? It is a total nonsense. The reality is that the Chess Masters Code is just another scam. People who created it are affiliated with a certain broker and will get paid for sending new depositors to this broker. This is the only purpose of their project, to make you deposit money with their broker, because it will earn them a commission. Don’t trust anybody that is promising you free money with binary options but asks you for a deposit first! When you sign up for the Chess Masters Code, you’ll see some testimonials. These should be real trading results of people using this software, but they are fake. Look at the examples on the right, these photos were stolen from different sources and belong to somebody else. 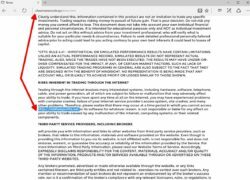 When you read the Disclaimer of Chess Masters Code, you’ll of course find out that you should be prepared for losses ant that the program does not guarantee anything. 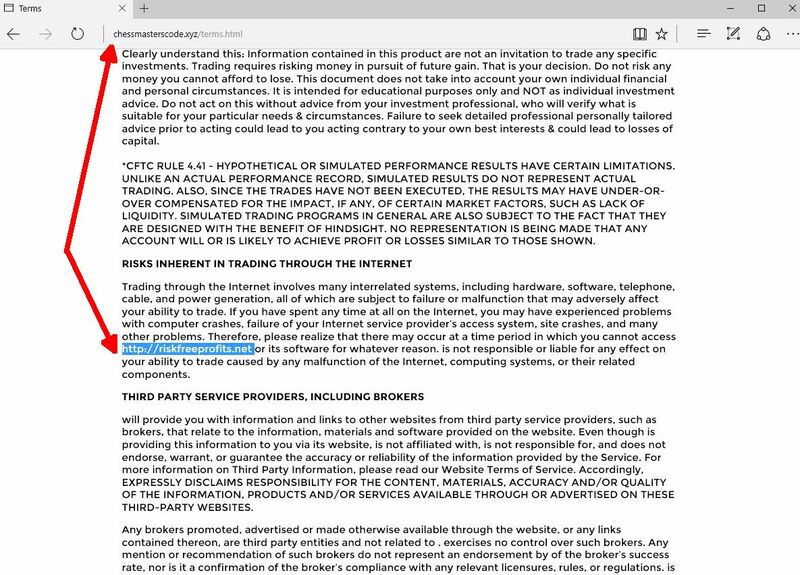 But the most interesting thing in this document is that you can find the address of Risk Free Profits, which is another binary options scam. So now you know what is Chess Masters Code based on. Chess Master Methods are just an empty bubble, the software is worth nothing, it cannot trade binary options profitably. 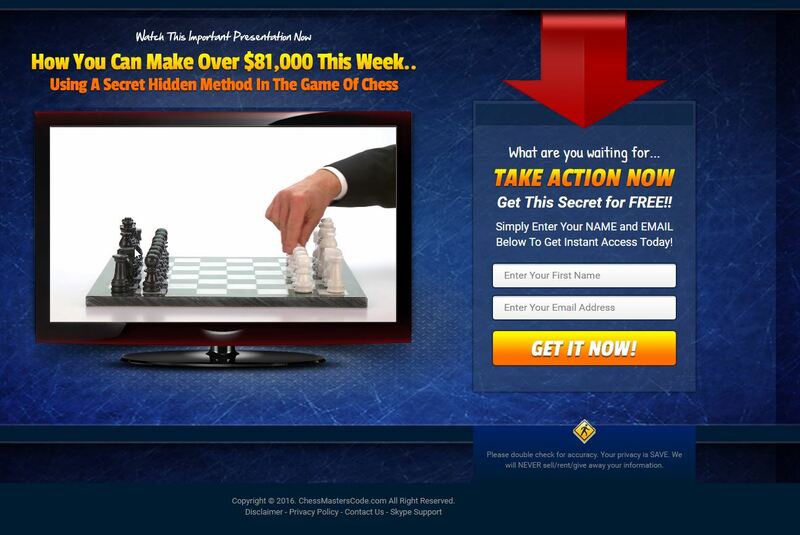 If you trade your account with Chess Masters Code, you will lose money. If you want see how money is really being made in binary options trading, try a free demo. It takes patience and learning before you can trade profitably.